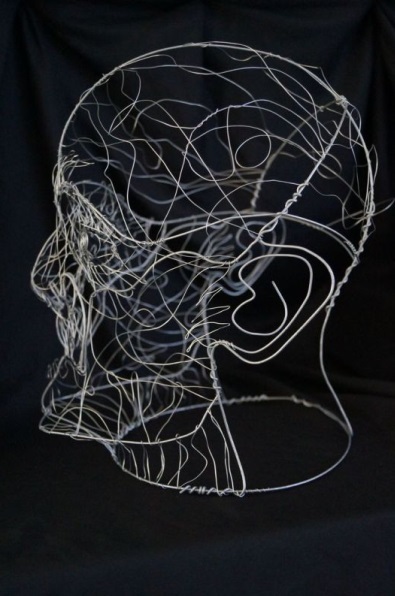 Wire was originally made by chiselling thin strips from a sheet of metal. The strips were either twisted and then rolled between two flat surfaces to smooth them or spirally wound around a mandrel. 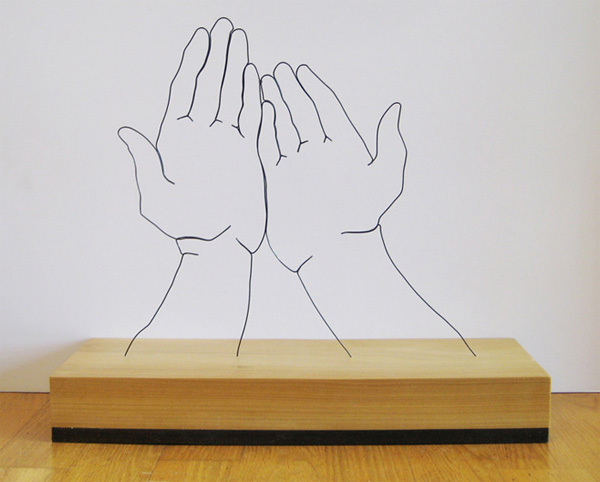 Today wire is made by drawing rods of metal through conically shaped holes in a draw-plate. This system was first used in Persia in the 6th century BC but did not reach Europe until the 10th century AD when wire was first being produced on a commercial scale. 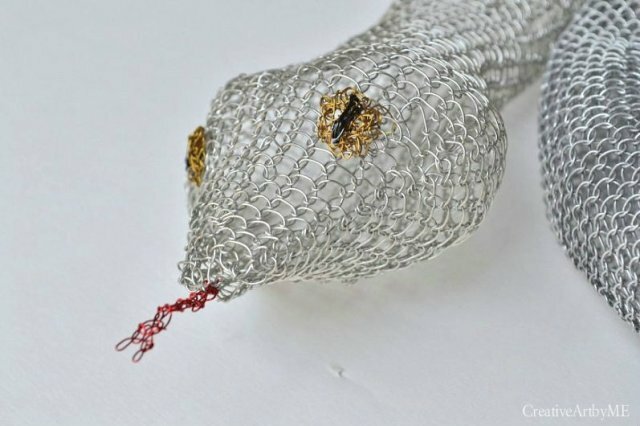 The iron wire trade made chain-mail, and also wool carders, girdles, chains, fish hooks and needles. Up until this time gold and silver wires were made almost exclusively for jewellery but during the Middle Ages embroidery became their principal use. In England, the two trades were governed by different bodies, the Broiders’ Company and the Girdler and Pinmakers’ Company. It was not until the late 17th century that they became distinctive guilds known as the Worshipful Company of Gold and Silver Wireworkers, and the Worshipful Company of Tin Plate Workers, or Wireworkers. By the mid-16th century, there were at least 6,000 wire drawers in London alone and it was around this time that the first mechanical drawing machines were used in England. The water-driven draw-plate system used in these machines was invented by Rudolf of Nuremberg in the 14th century, but was not introduced to England until 1564. Gold and silver wirework flourished until the time of the French Revolution (1789-99), when fashions changed and the industry went into decline. 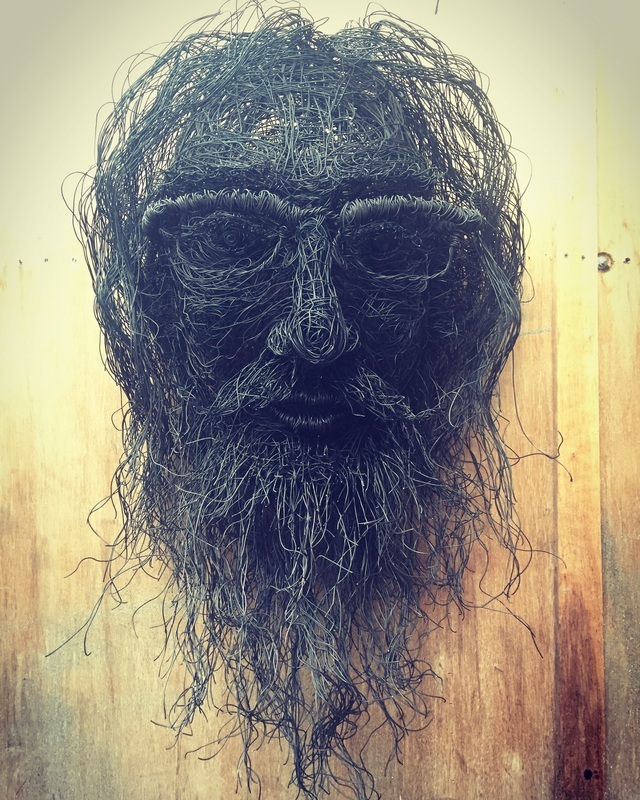 Artist Gavin Worth makes beautiful and elegant wire sculptures out of black steel wire. Because of the corrodible nature of iron, very few examples of the broad range of objects once made from iron wire have survived to this day, save the items mentioned above and a few toys and traps. By the early 19th century, tinning and black-japanning had become popular ways of protecting the wireworker’s craft. Not only did these treatments prevent rusting, they also helped cement items made from unsoldered wire. America imported its wire from England and Germany until 1812, when the war with England meant that supplies were cut off. From this point, the Americans started building their own factories for producing wire. By the mid-19th century, the steam engine enabled wire, woven wire and wire fencing to be mass produced. The industry flourished, reaching its peak in Europe and America at the turn of the century, when an impressive range of products was available, from wire whisks and baskets to wire gazebos. The craft of wireworking was applied to every possible household device until the advent of plastic gradually led to its demise. 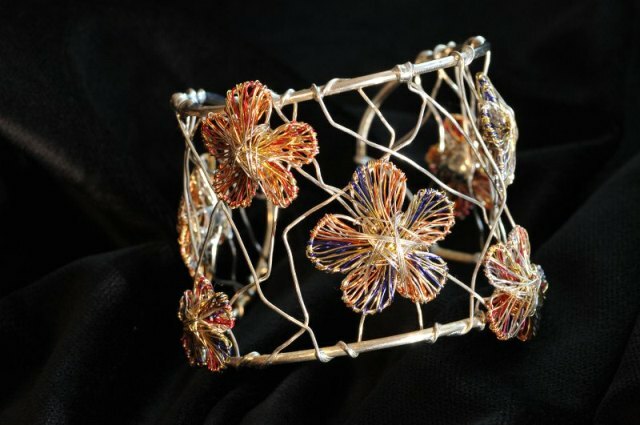 Despite this, wirework is still alive and well in many countries around the world, as shown by the many examples from Africa and Mexico. In Europe, with the renewed interest in folk art, the craft is enjoying a renaissance.